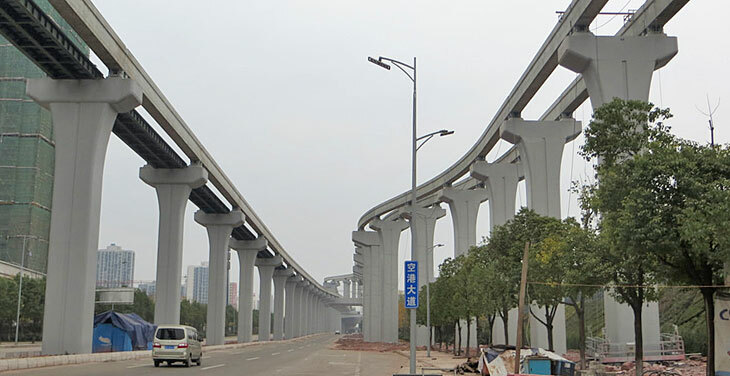 Our friend Luke made his first visit to Chongqing, and as he has generously done before, he is sharing images. 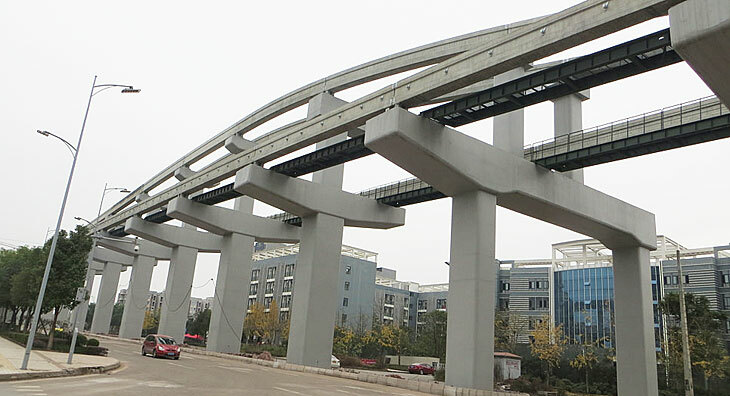 As these images show, Chongqing is continuing to manufacture monorail beams at a record pace. 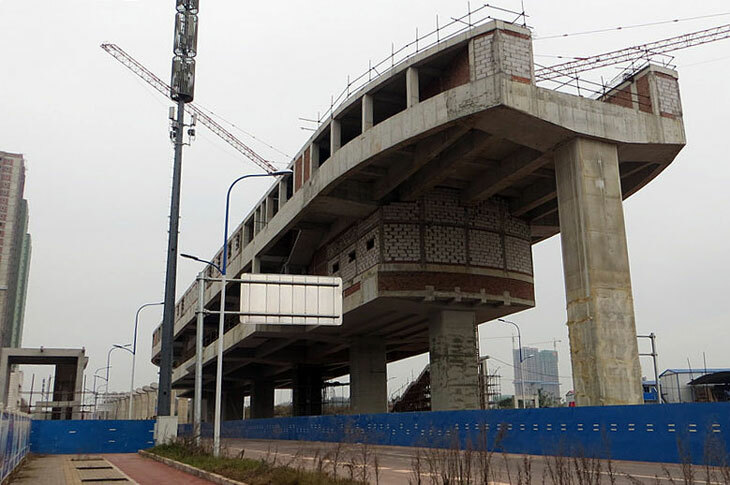 The beam yard is near the southern terminus of Chongqing Monorail, Yudong Station 1 on Line 3. 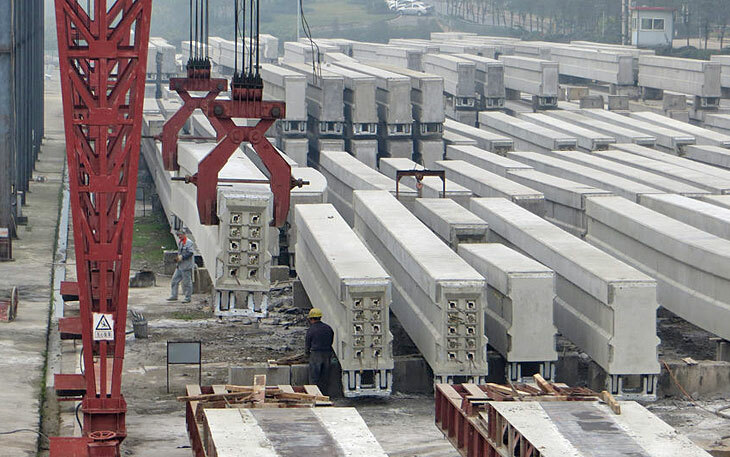 The new work includes a spur to Chongqing airport, as well as continuing the main line north from station 38. 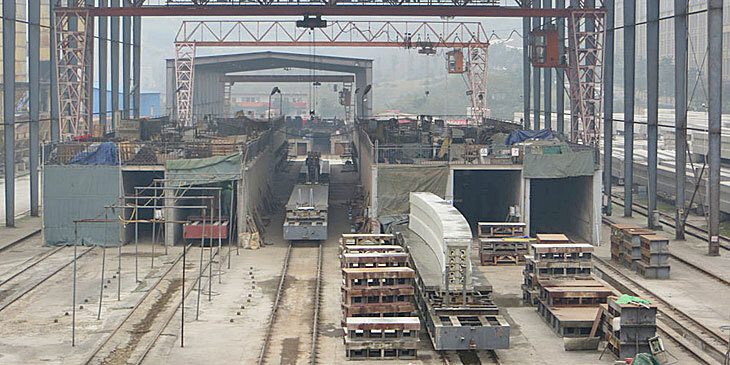 A six-car train negotiates a switch at Station 38, Bijin. Luke captured some amazing line-split locations, this one leads to a massive storage depot. 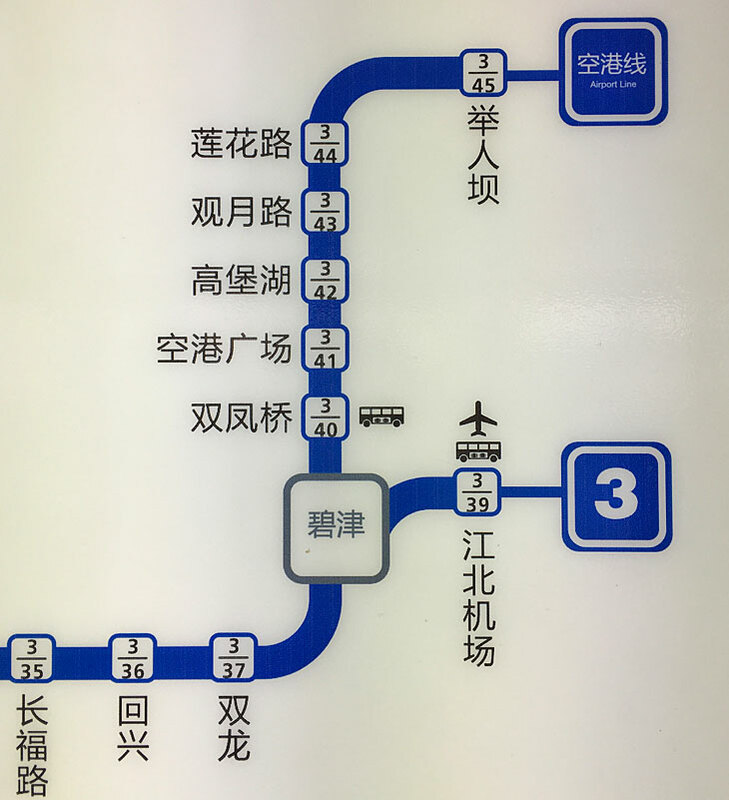 Line 3's extension and airport spur line will add seven stations.